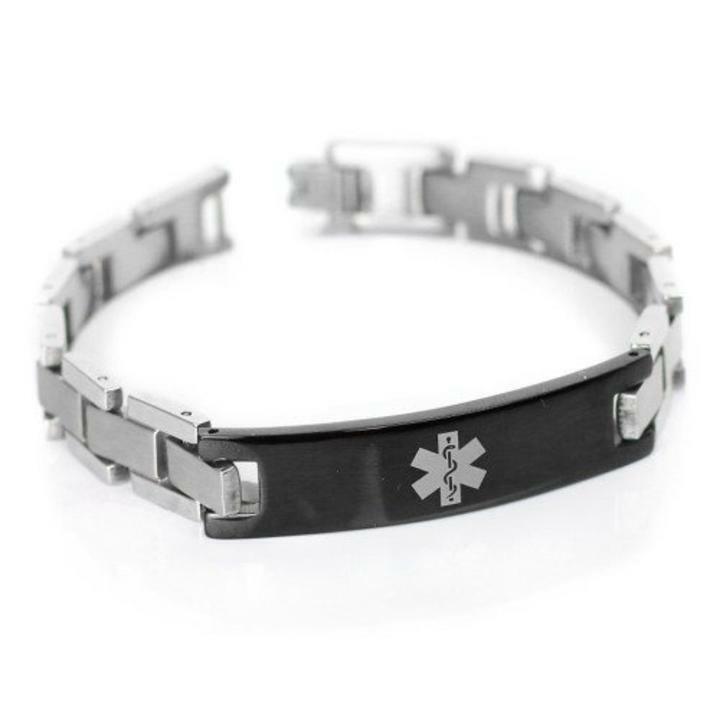 This man’s medical ID alert bracelet is durable, strong and classy to wear The front of the medical id alert plate is pblack plated with a gray medical alert symbol. The bracelet is hasof Y-links that are polished stainless steel on the front and brushed on the back. The engraving on the back side of the Medical ID Alert plate is done in a bold black font. The engraving on this mens medical id alert bracelet comes with a LIFETIME WARRANTY**. Wrist Size : Measure smallest part of wrist and order cloest to the sizees listed, Bracelet will arrive sized for your wrist with room for comfort.